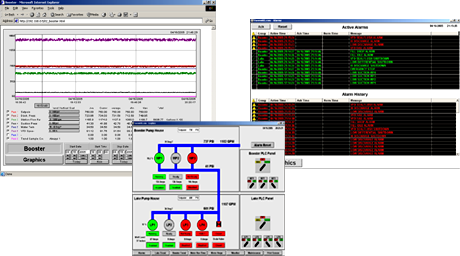 A remote user interface allows management and personnel to monitor and change certain PLC controlled processes from various locations. PLCs may be configured to communicate with each other through a variety of wired or wireless options. In addition to this, the PLCs may be introduced into an existing LAN for interaction with a network workstation. Another option allows a PC-based MMI (Man-Machine Interface) to provide information and specified control from any web connected PC, no matter the location.